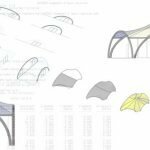 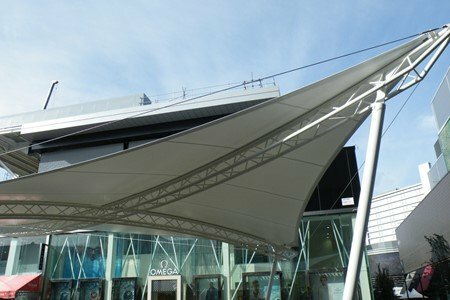 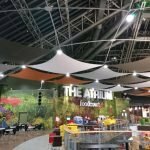 A dynamic, outdoor covered performance space with a 300m2 fabric canopy has been created for Westfield Shopping Centre near the Olympic Village, London. 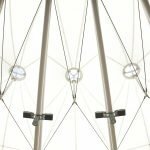 The 20m x 14m Hypar stands 7m high and was engineered for a bespoke Tri-Truss framework to support one tonne of audio visual equipment and Christmas decorations. 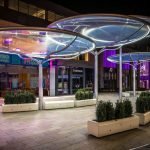 With Prada just around the corner, this diva of a structure is a fashion accessory that will stands the test of time in Europe’s largest urban shopping mall. 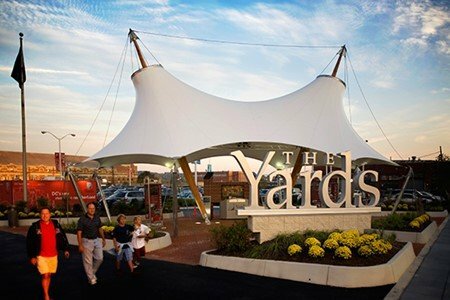 In addition to providing outdoor seating and a performance area for the public, Westfield wanted a focal point to attract shoppers and enhance the boutiques and fine restaurants in and around Chestnut Plaza. 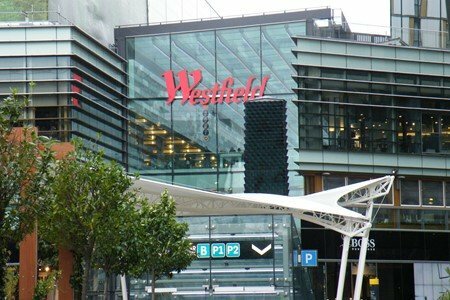 Having worked with Fabric Architecture on other Westfield sites (White City, Merry Hill, and Royal Victoria Place), Westfield knew Fabric Architecture could design and deliver something that would enhance its flagship shopping destination. 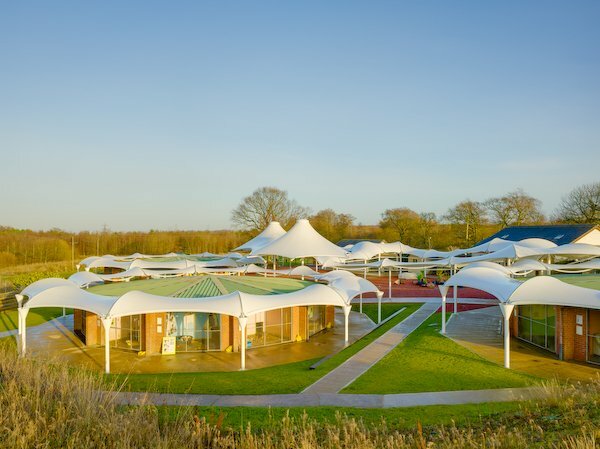 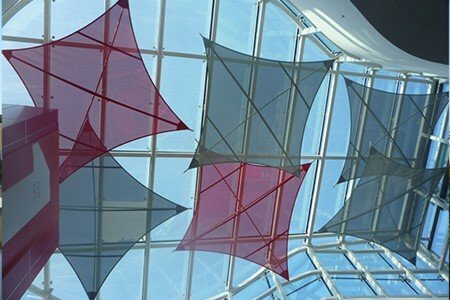 The design is based on Fabric Architecture’s Azure Hypar at Chester Racecourse. 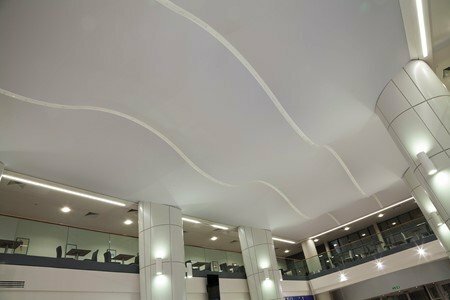 The beauty of the Azure is that it can be modified to suit different locations and requirements. 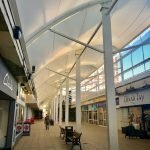 For Chestnut Plaza the central mast was removed from the design to maximise the area under the canopy. 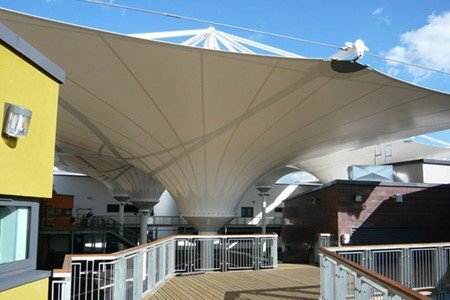 The four remaining masts were fixed to the steel super structure of the underground car park below. 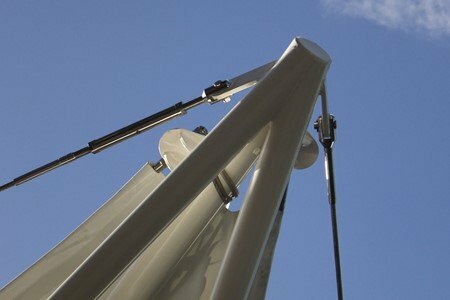 The Azure’s curved cross members were replaced with robust but lightweight trusses to hold the extra loads needed for performance equipment. 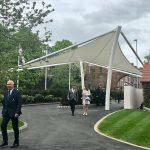 The trusses also accommodate the integral rainwater management which carries water from the canopy, through the masts and into drainage channels. 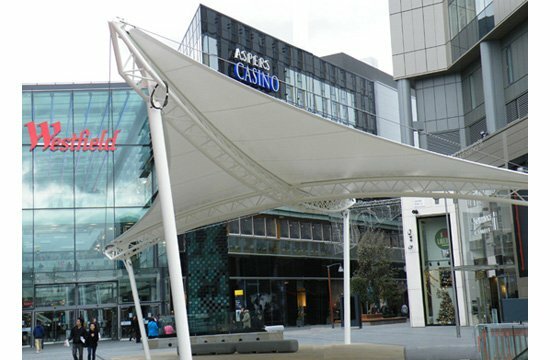 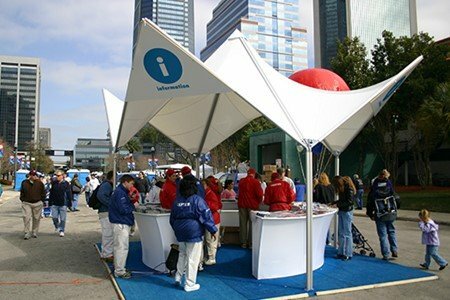 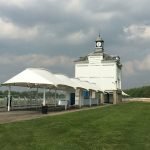 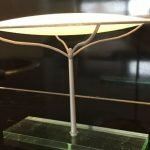 PVC type 2 fabric was used due to the size of the canopy. 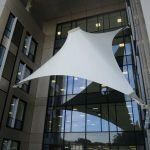 It will require annual maintenance to keep it sparkling but if maintained properly the fabric is expected to last for at least 20 years.